One of the hardest working men in music, Keith Urban, is ready to hit the road again! Embarking on a huge 50 city tour to promote his upcoming album, ripCHORD, the American Idol judge goes back to doing what he does best – entertaining a crowd! And boy does he know how to put a bill together too – with support from Brett Eldredge & Maren Morris, it's going to be a stellar show! Urban comes to Farm Bureau Live on Saturday 20th August for a night of solid gold country! 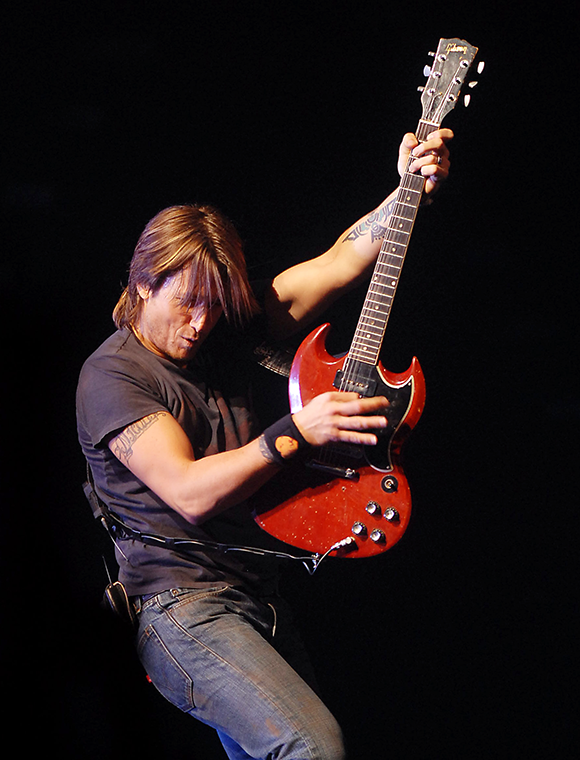 After cutting his teeth with a debut album on EMI Australia in 1991, and then later in Nashville with country band The Ranch, Keith Urban decided to pursue a solo career in America in the late 1990s. In 1999, he released his first American self-titled solo album, and in 2001, was named the CMA's "Top New Male Vocalist." He toured in 2004, and was named CMA's "Entertainer of the Year" the following year. Urban won his first Grammy Award in 2006, and went on to receive three more Grammys. In 2012, the country singer was chosen as a new judge for season 12 of the popular singing-competition show American Idol, which premiered in 2013. To date, he has released a total of nine solo studio albums, charting 37 singles on the US Hot Country Songs, 18 of which went to number one.